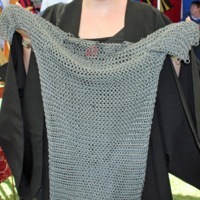 Images of a chainmail shirt (a haubergeon) and hood (a byrnie) made by members of The Grey Company and displayed for the public to try on at the Perth Medieval Fayre. 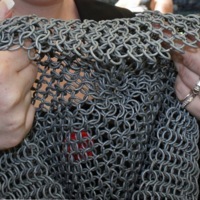 Chain mail was used extensively in the middle ages to fashion protective garments by interlocking thousands of metal rings to form a meshed material. 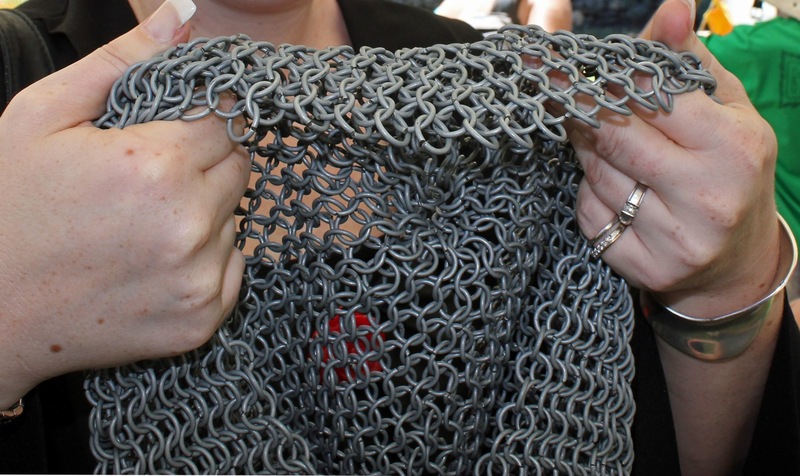 These chainmail garments were worn by medieval knights and soldiers as body armour, although chainmail was gradually superseded by plate armour in the fourteenth century. The Perth Medieval Fayre is organised by the Western Australian Medieval Alliance (WAMA). In 2011 it was held at Supreme Court Gardens on 19 March. Enthusiasts and vendors showcased a range of medieval arts and crafts, from dancing, calligraphy and lace-making to demonstrations of the techniques, weaponry and apparel of medieval combat. 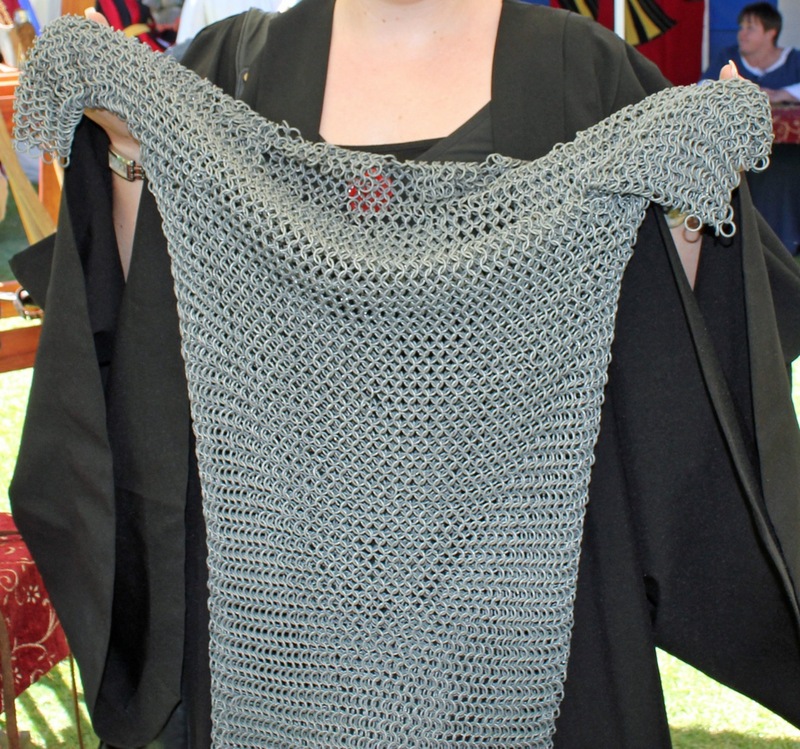 “Chainmail at the Perth Medieval Fayre,” Medievalism in Australian Cultural Memory, accessed April 25, 2019, http://ausmed.arts.uwa.edu.au/items/show/304.